The first of three roadshows taking the new Called Together vision out around the archdeaconries, took place on Sunday. 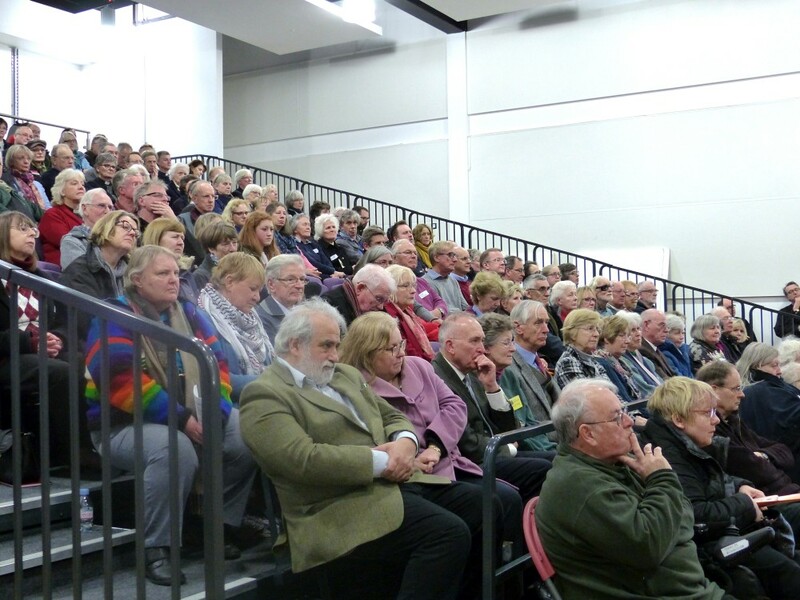 A fantastic turn out of people from across the Tonbridge Archdeaconry braved the cold and came to Trinity School in Sevenoaks, where the Ven Julie Conalty, Archdeacon of Tonbridge, hosted an afternoon of networking, story sharing and prayer. Those who attended heard how the vision had been developed through the Our Future Our Conversation process, and learned how the three priorities - Growing disciples, Enriching communities, Resourcing mission and ministry – had been shaped by the parishes who had identified what should guide the Diocese’s shared journey over the next five years. Representatives of local churches, organisations and projects had the opportunity to speak about initiatives they were engaged with that in some way already connected to the three priorities, encouraging, affirming and inspiring others to think about what might be possible in their own area. Projects such as: Plaxtol Parish Church’s Bring and Share lunch which offers an enriching experience of welcome and friendship for the single and elderly church-going and non-churchgoing members of the community; an explanation of the Cursillo fellowship which can help develop people’s own faith and discipleship; and presentations from St. Andrew’s, Paddock Wood and St. Gabriel’s, King Hills about their experience as congregations living in areas of new housing development. A busy marketplace area allowed those attending to find out about services and support available from the Diocese, as well as partner organisations which are engaged in issues as diverse as addiction support, fostering and adoption, to spiritual resources and books. It was also a chance for people to meet others from churches in their own area over coffee and cake! Two further roadshows will take place in March, in both the Bromley and Bexley Archdeaconry and Rochester Archdeaconry. The roadshows are open to anyone interested in finding out more about the vision and how they can get involved.